The Royals are back. This week, E! announced production has begun on season three of the series. The drama centers on a fictional British royal family. The cast includes Elizabeth Hurley, Vincent Regan, William Moseley, Alexandra Park, Merritt Patterson, and Oliver Milburn. Earlier, we reported season three will feature new cast member Max Brown, who will play Prince Robert. The new season of The Royals is slated to premiere later this year. Season three picks up two weeks after the execution of King Simon’s murderer who had plagued the royal family for months. With Prince Liam and Princess Eleanor’s celebrity status hitting new heights, continued debate in the UK on who is the rightful heir to the throne, and the potential return of the presumed deceased Prince Robert, season three promises even more scandal, heightened stakes, and steamier love triangles. “The Royals” was one of the top three new original scripted series of 2015 among P18-49 across ad-supported cable, excluding spin-offs. The series ranks as the #2 new original scripted series of 2015 among P/W 18-34 and W18-49 across ad-supported cable, excluding spin-offs. “The Royals” has contributed to E!’s ongoing growth and success, which includes a year on year primetime increase of +10% among A18-49 in first quarter 2016. What do you think? Do you watch The Royals? Are you excited for season three? More about: E! 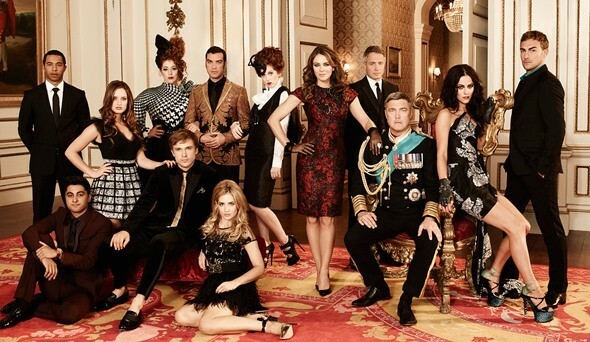 TV shows: canceled or renewed?, The Royals, The Royals: canceled or renewed?